I hesitated to post another picture of our four cats on the bed together for the second week in a row but I couldn’t leave a cute photo like this locked away on my computer. 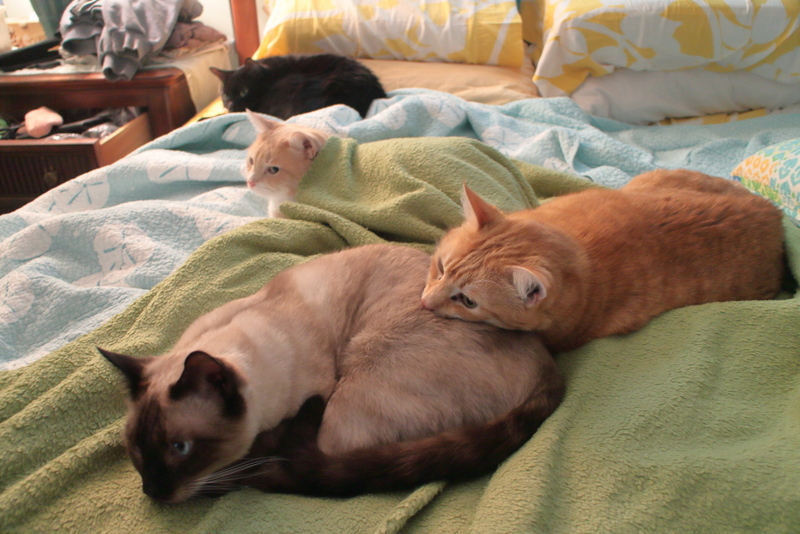 It seems our bed is a feline gathering place when the temperature gets cold. It has warmed since I took this photo and everyone is back to separate napping spots, except Chris who likes to nap on top of someone. 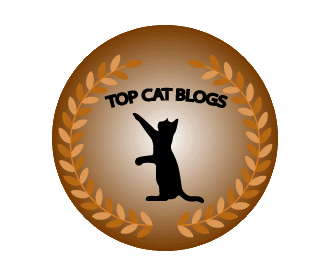 This entry was posted in Uncategorized and tagged bed, Cats, cold, cute, nap on December 22, 2017 by Charles Huss. Super sweet photo……….all tucked in…….ready for a good pre-Christmas snooze! never hesitate posting those, they are darling! Chris on Floki is so cute! We get to see that a lot. That’s where we spend most of our time when it’s cold too.